era (nostalmix)'s REFLEC BEAT jacket. A different version of era (nostalmix), titled era (step mix), appears in beatmania IIDX 4th style. 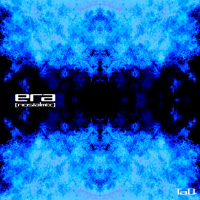 era (step mix) first appeared as a Double ANOTHER chart for era (nostalmix). However, from beatmania IIDX 4th style, era (step mix) appears as a separate song, with new other charts. A live version of era (nostalmix) appears on TaQ's bounce connected album. era (nostalmix)'s ANOTHER charts sound significantly different from other Single/Double charts, and they are entitled era (step remix). The DanceDanceRevolution series use a shorter version of era (nostalmix). At the time of its debut, era (nostalmix)'s Double ANOTHER chart had the most notes of any beatmania IIDX chart, with 1226 notes. This record was beaten one game later by another TaQ song, DXY!, whose Double ANOTHER chart contains 1529 notes. Prior to beatmania IIDX 9th style, era (nostalmix)'s BPM was wrongly displayed as 89-179. In the beatmania III series, the title for era (nostalmix)'s ANOTHER charts changes to era (step mix), despite using era (step remix) for the audio. era (nostalmix) received a new BEGINNER chart in beatmania IIDX 11 IIDX RED. era (nostalmix) received a Single BEGINNER chart in Dancing Stage EuroMIX2. era (nostalmix) received a Double BEGINNER chart in DanceDanceRevolution ULTRAMIX2. In DanceDanceRevolution ULTRAMIX2, era (nostalmix) is titled as era nostalmix. Prior to beatmania IIDX 19 Lincle, era (nostalmix) is one of the few songs where its HYPER chart (12) is rated higher than the ANOTHER chart (11) in Double. era (nostalmix) could be unlocked in REFLEC BEAT groovin'!! Upper as part of the 1st Set (DJ TOTTO's SELECTION) of the BEMANI MUSIC FOCUS unlocking system, after unlocking the other songs of the 1st Set. Its SPECIAL chart could be unlocked via the BEMANI MUSIC FOCUS event as well after unlocking era (nostalmix)'s BASIC/MEDIUM/HARD charts. era (step mix) is used for the SPECIAL/WHITE HARD chart's audio, with the title in the jacket changing accordingly. However, outside of the jacket, the song title in the game still remains "nostalmix". 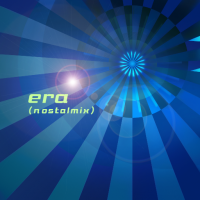 DJ TOTTO mentioned that era (nostalmix) is one of his musical roots. era (nostalmix) received a new jacket in the REFLEC BEAT series. era (nostalmix) marks TaQ's first appearance in the REFLEC BEAT series. era (nostalmix) is unlockable in beatmania IIDX INFINITAS from October 5th, 2016, after obtaining 5000, 10000, and 10500 BITs for its NORMAL, HYPER, and ANOTHER charts respectively. After being removed from the initial release of REFLEC BEAT 悠久のリフレシア, era (nostalmix) was revived on May 18th, 2017. This track always makes me feel some sort of maddening, incredibly overwhelming energy. Only a song where the artist poured his all into production can give listeners that sort of experience. To say it frankly, I didn't really appreciate this song that much when I first heard it, but the first time I heard it come from the machine, it sent shivers down my spine. It's kind of hard on 7KEYS, but I hope you'll practice it on LIGHT7 so you can pass it some time. "era(nostalmix)" by TaQ is a beautiful and uplifting drum'n'bass track. Originally debuted in Dance Dance Revolution KONAMIX, this song is a very popular fan favorite. era. Ages, epochs. The expression of the passing of ages is what first started the spell. That is, I felt history spreading itself out from one point to another, following a catalog of "eras" in succession. But when I listened again, I felt it was more of a song that expressed the splendour of time and space that people always feel. In the end, I decided to visually symbolize the various sounds and phrases that occur throughout the song. I wasn't really pleased with certain elements of the video, but I was relieved to hear TaQ's response to it. He had told me in an email earlier that he really liked blue, so he seemed pleased with the fact that I used it as the base color throughout the video. He also seemed pleased with things like the passages where the woman was falling (doesn't she look like a sculpture filled with water?). beatmania IIDX to 10th style difficulty rated from 1 to 7 from 3rd and 4th style, 1 to 7+ from 5th through 9th style, 1 to 8 in 10th style, 1 to 8+ in IIDX RED, and 1 to 8 from HAPPY SKY onwards. beatmania (2006) difficulty rated from 1 to 10. DanceDanceRevolution difficulty from 2ndMIX CLUB VER. through 5thMIX (and the Solo games) rated from 1 to 9, 1 to 10 from DDRMAX2 to SuperNOVA2, and 1 to 20 from X onwards. ※ Earlier BEGINNER chart that was replaced in later games (total notes: 355). This page was last edited on 19 February 2019, at 21:49.